What is the Dream Car Art Contest? 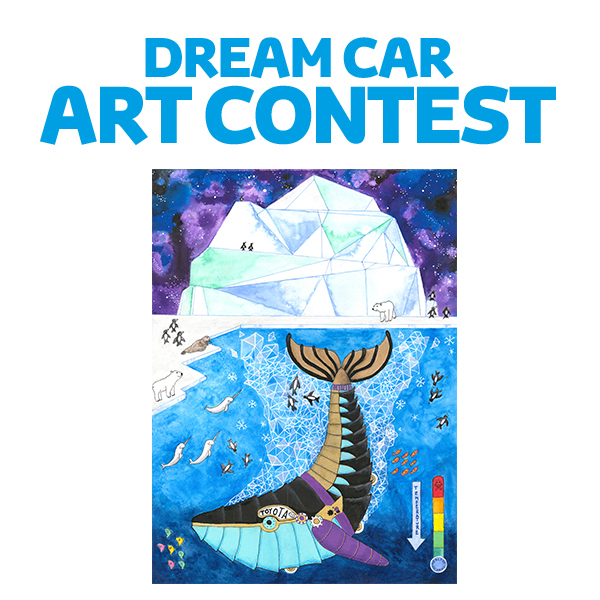 The Dream Car Art Contest is an international art competition for children aged 15 or under. This encourages children to express their creativity and imagination by drawing or painting their dream car, whether that’s a ‘Unicorn Car’ or your very own ‘Eco Dome.’ The winning artist of each age category will receive an IPad at the UK National Awards Ceremony, and be in with the chance to win a trip of a lifetime to Japan for the Global Competition. Now in its 13th year, the prizes this year will be Amazon vouchers for each category winner (£75, £50, £25). In addition, each category winner will receive £100 for their school. The artwork should be a picture of the child’s dream car and should also include a background. All artwork must be drawn by hand, using any type of paint, colour markers, crayons or felt pens. Digitally created artwork will not be accepted. The artwork should be drawn on A3 or A4 paper. The competition went live on 1st October, and the deadline for submissions is January 7th 2019. All entries must be submitted with the entry form (completed by a parent or guardian). All artwork will then be submitted to Toyota GB to meet the National deadline 21st January 2019. Unfortunately original copies cannot be returned. We have written to all local schools across Argyll & Bute and West Dunbartonshire. If you would like to take part, you can speak to your school or pop in to our Centre and create your design here. Entry forms are available from our Centre or from your school. We had a fantastic response last year and can't wait to see all your new Dream Car designs. Good luck!